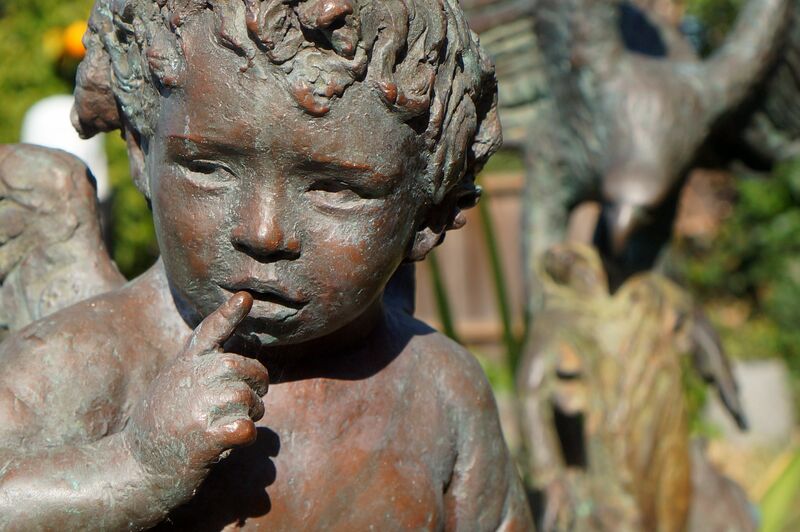 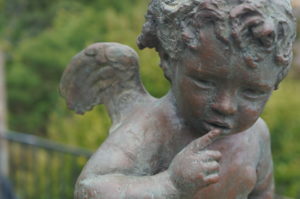 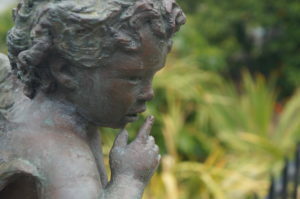 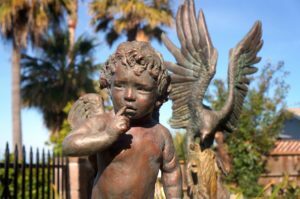 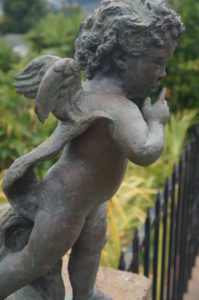 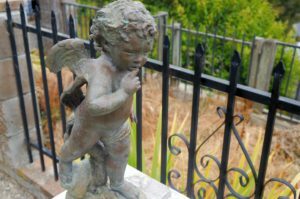 Child-like in expression, yet seemingly in the know of certain secrets, the little angel cautions us to be wise. 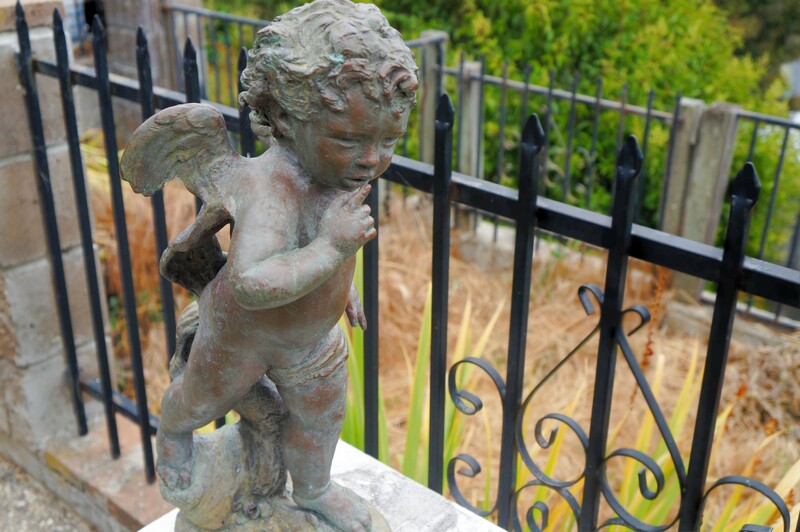 This adorable little thing surely would make anyone’s home a sacred place to be watched over. 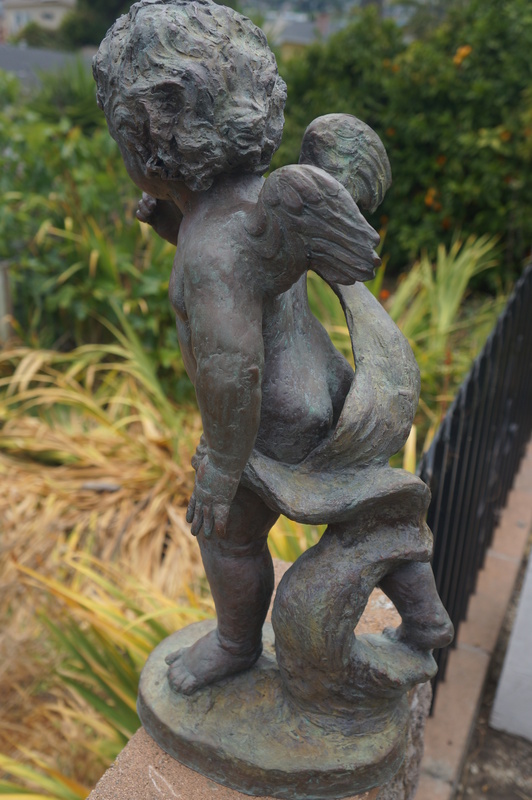 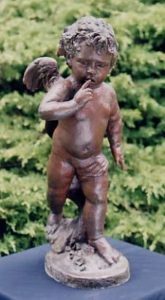 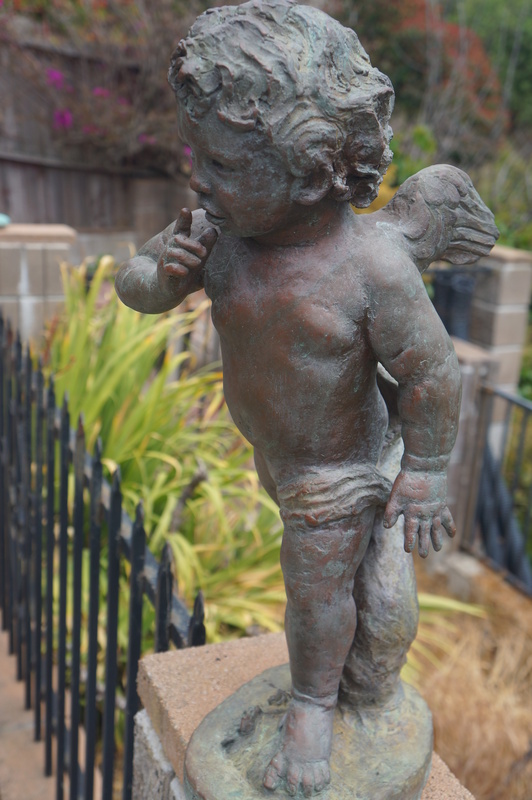 Secret Angel, 1996, bronze, natural patina, 22″ tall by 9′ wide by 13″ deep. 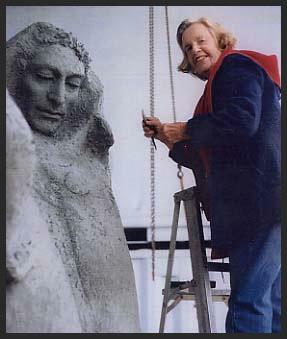 Price: can be commissioned to be cast again in bronze.